← My Year in Collecting: 2016! 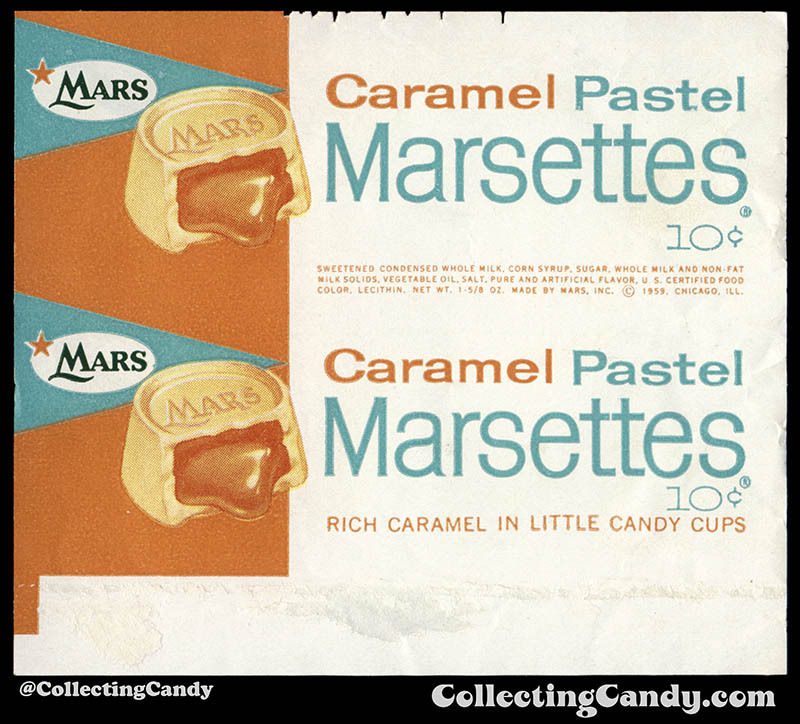 Back in 1958, the Mars company introduced a product to the USA market that might sound familiar: It was a roll of caramel-filled drum-shaped chocolate candies, wrapped in gold foil. Mars called this new offering Marsettes, and while their time on store shelves was relatively short, it was tasty and colorful. Make the jump to check it out! 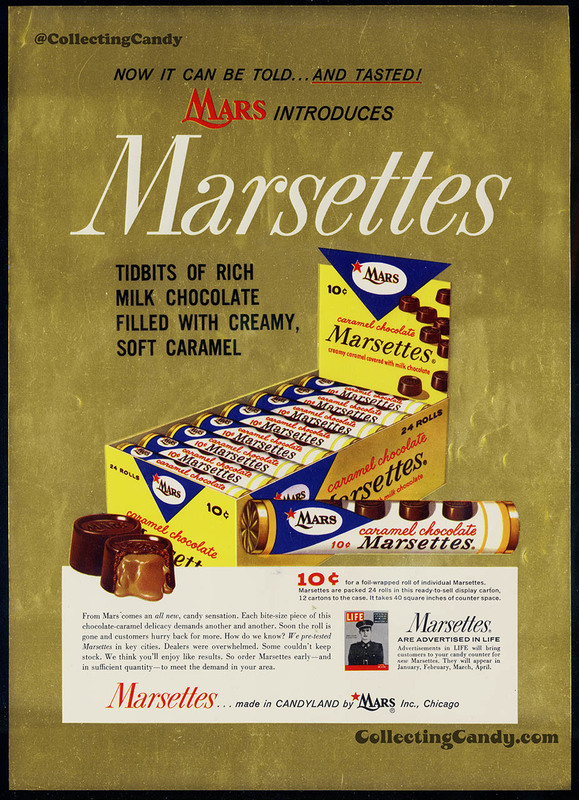 I first mentioned Marsettes here on the site way back in 2012 during my big Rolo brand round-up. You see, by the 1950’s the UK’s Mackintosh Rolo brand had started making its way into American stores via its then-US distributor, NECCO. 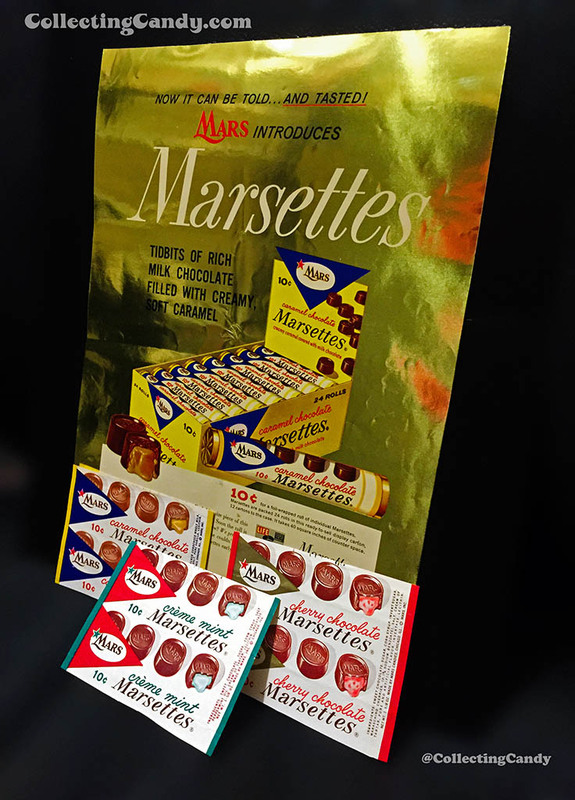 It’s easy to imagine that the launch of Marsettes was Mars’ response to Rolo’s success here and their attempt to challenge it with their own version. 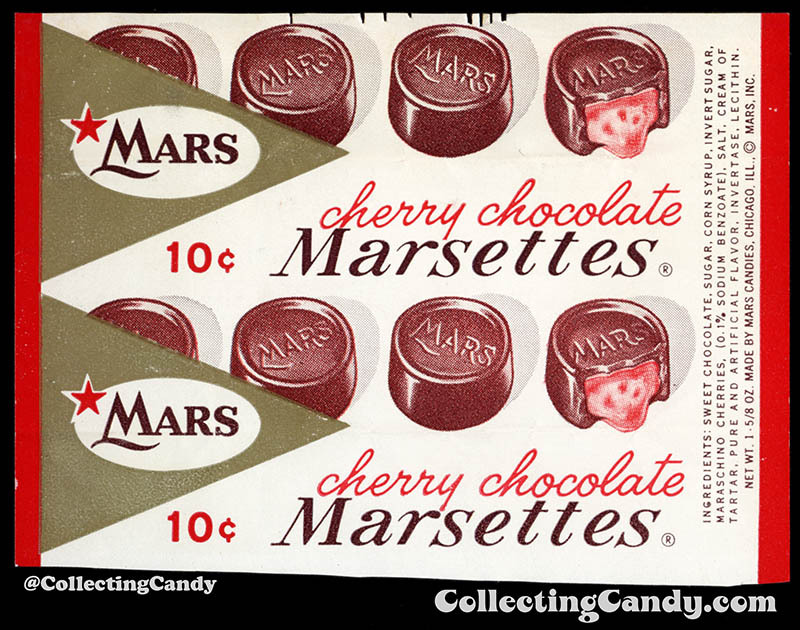 The Cherry Chocolate and Creme Mint Marsettes wrappers retained the overall design and look of the original flavor packaging. 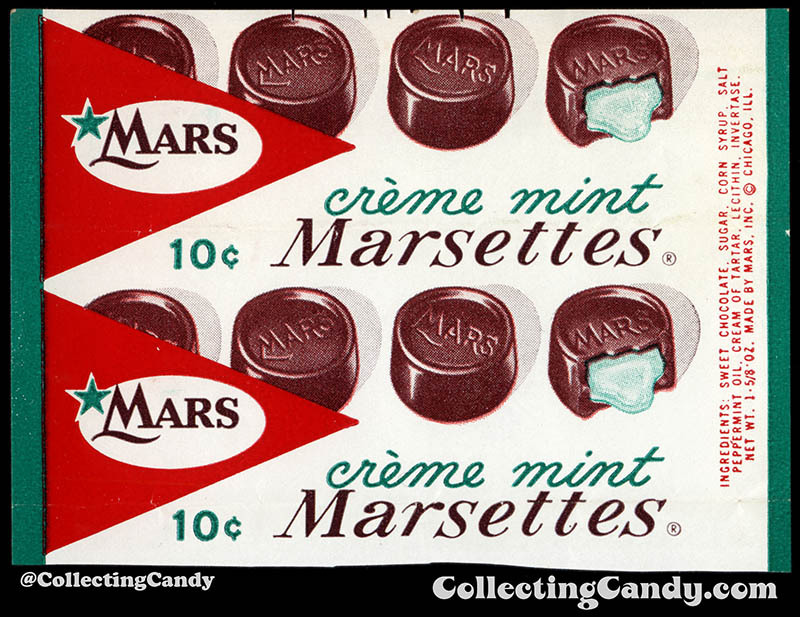 I can’t say for sure how long Marsettes were in stores before they were discontinued, or if there were any other iterations of the brand/packaging. I can tell you that I’ve found no evidence of them being on-sale past the mid-1960’s. While the death of a product that might have been little more than a Rolo knockoff is something that could be easily dismissed, I find it unfortunate that the creative flavor brand extensions that Marsettes received didn’t find continued life. I’d love to try them all today! It’s taken me more than a decade to gather the Marsettes pieces found in today’s post, so if there is more to discover out there still, it may be many years before I find out. For now, I’d like to think this is a great foundation to understand the brand and to wonder about these wonderful variations we might never see again. 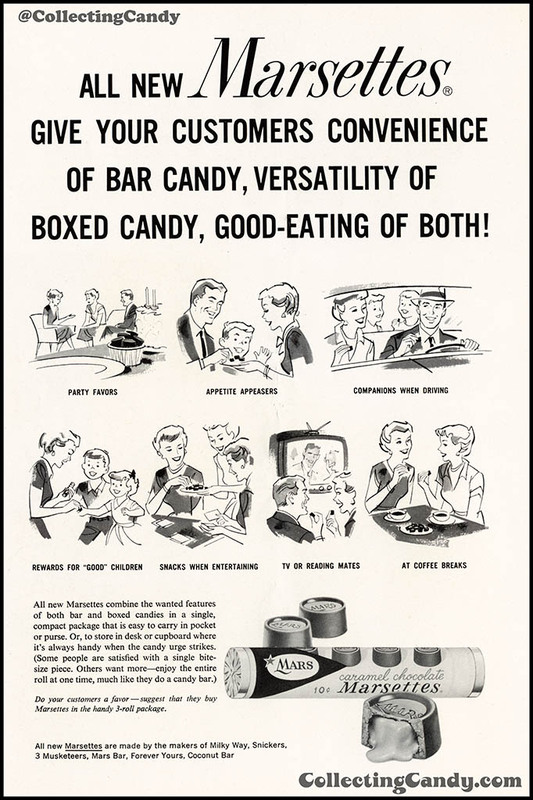 Marsettes would not survive out of the 1960’s and by the early 1970’s Hershey had acquired the US distribution rights to Rolo, setting the stage for that product to become the beloved classic that it remains still to this day. 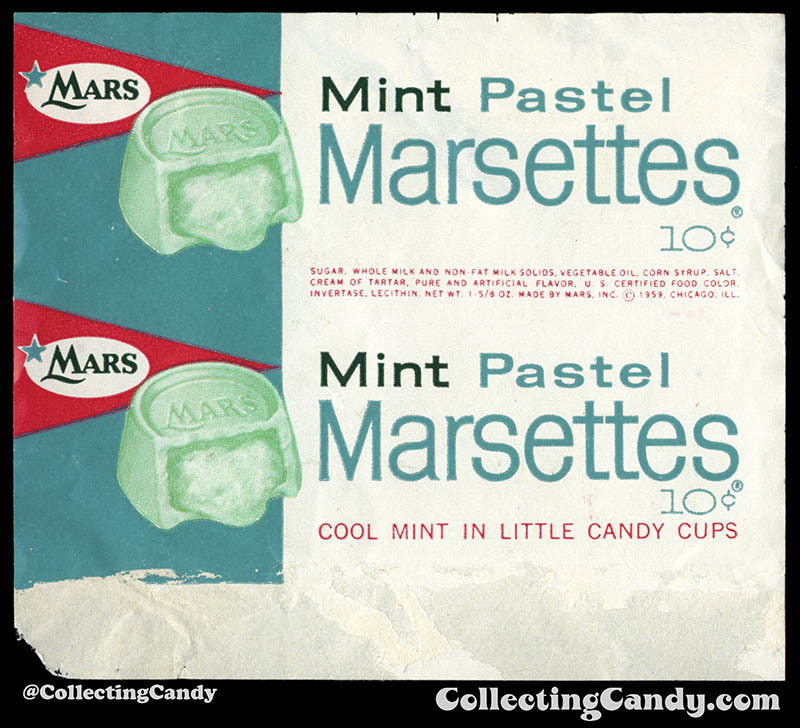 Marsettes, on the other hand, stand as a lovely piece of our distant confectionery past. When I started researching the Marsettes brand, I wasn’t familiar with it. Yet as I’ve learned more about it and become aware of its unique packaging and offshoots, I’ve come to see it as one of my favorite forgotten brands. It’s a pretty neat one that I’d love to see make a return some day. 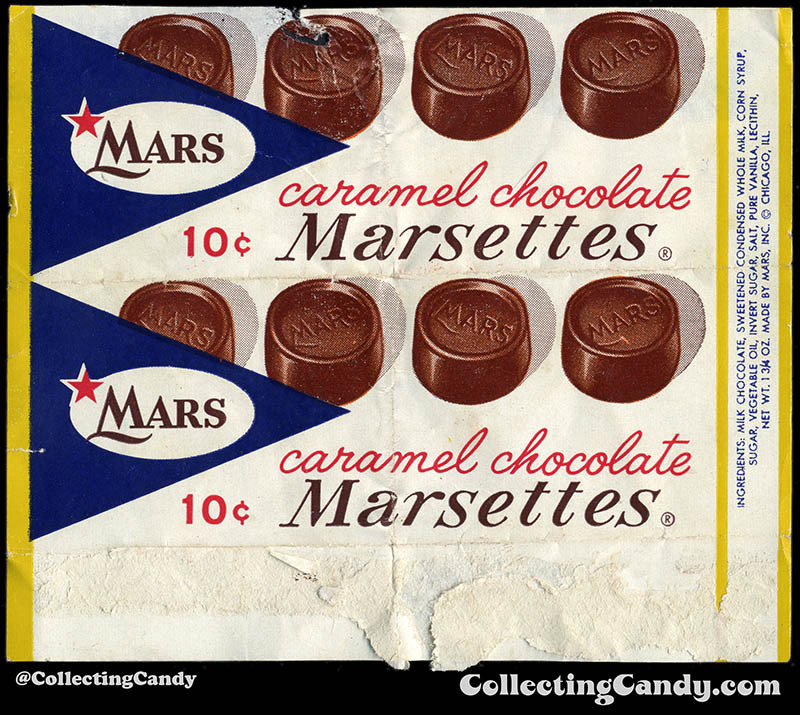 It’s been 50 years since Marsettes were last found in stores — I say it’s time to bring them back! 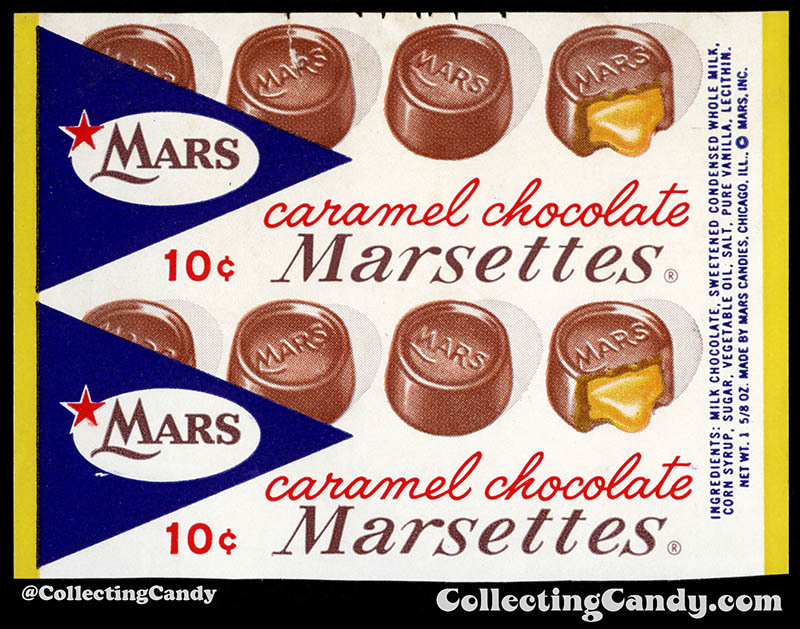 And with that, I need to wrap up today’s look at Marsettes; Mars’ mid-century answer to Rolo. I hope you’ve enjoyed the historical peek at this tasty forgotten favorite and I’ll see you next time! 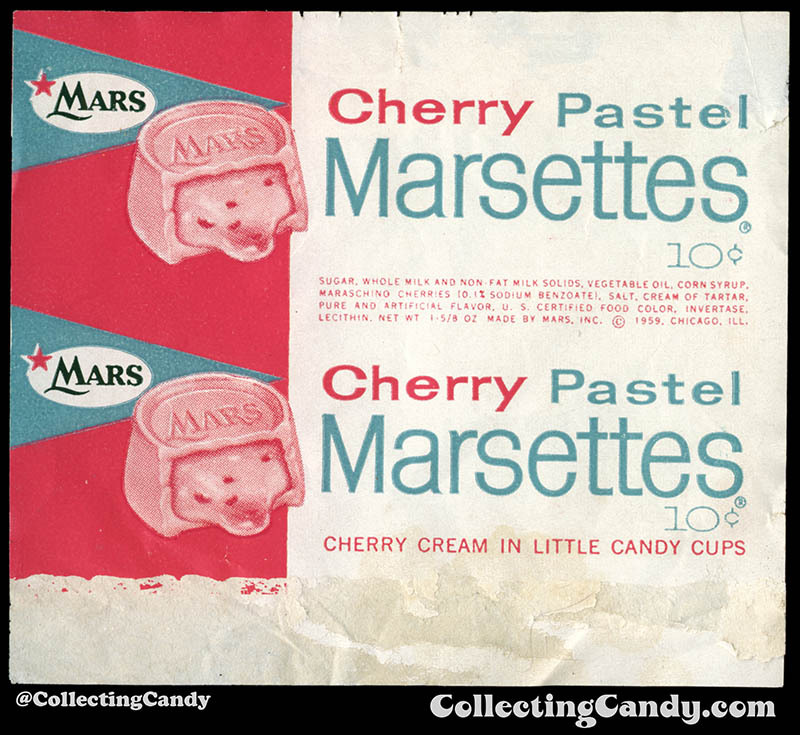 This entry was posted in 1950's, 1960's, Chocolate, Mars and tagged 1950's, 1960's, 50's, 60's, candy collecting, candy collection, candy collector, candy wrapper collection, candy wrapper collector, caramel, collectible, collecting candy, confectionery, confections, mid-century, packaging, packaging design, Rolo, sweets, vintage candy wrappers, wrapper. Bookmark the permalink. 1 Response to Marsettes: Mars’ Mid-Century Answer to Rolo! They sure have that classic 1950s look. Great job!